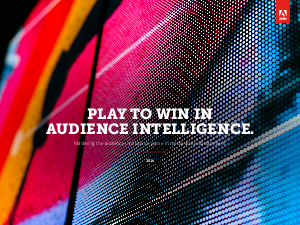 With Adobe Analytics and Adobe Audience Manager—both part of Adobe Marketing Cloud—media companies can overcome today’s audience intelligence challenges. Adobe Analytics is an industry-leading solution for applying real time analytics and detailed segmentation across all of your marketing channels. A unified platform and customer ID unlock powerful customer intelligence and help you discover and retain high-value audiences. Make forward-looking decisions with its predictive intelligence capabilities, and find out which of your marketing efforts are paying off with its attribution functionality.